Yeah Right! 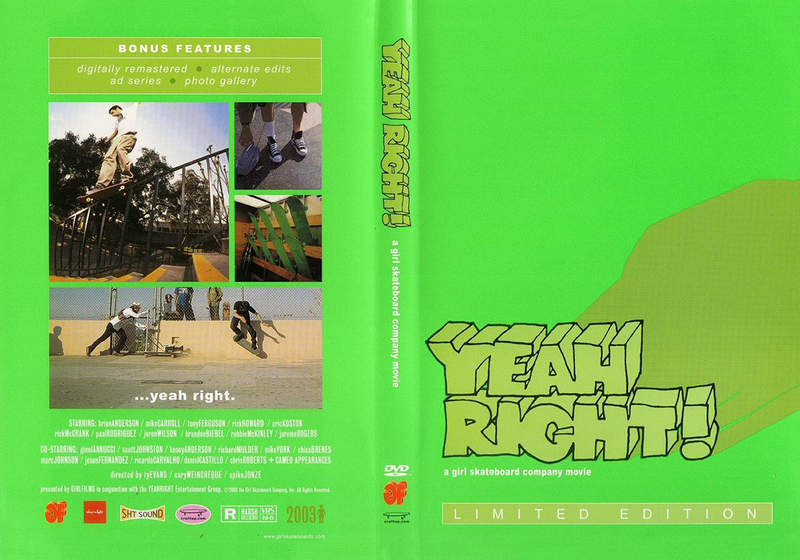 is the best skateboard movie of all times. Directed by Spike Jonze between 2001 and 2003 is the first film of its kind that included special effects like invisible skateboards, ramps and a super slow-motion camera among others. A soundtrack filled with hits, a lineup with the best skaters at the time and even a cameo by Owen Wilson turned Yeah Right! into a reference of the genre.